SINGAPORE: A group of underprivileged children from a town in northern Thailand received some help beating the winter blues, with a donation of more than 2,500 hand-knitted beanies, scarves and socks from hobbyists in Singapore. 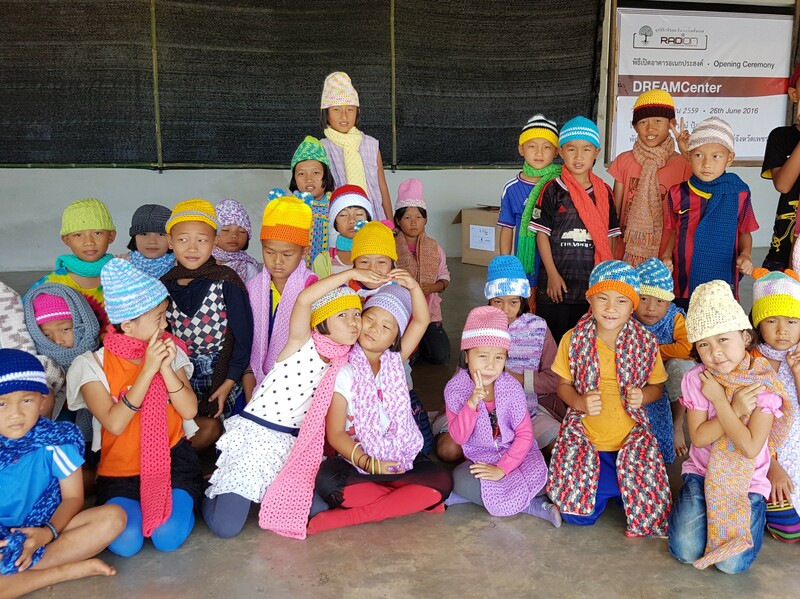 The founder and executive director of RADION International, the non-profit organisation behind the Project Lives donation drive, said the children from Khek Noi village in Phetchabun province were “ecstatic” to receive the warm clothing. “They almost never get brand new things,” Mr Eugene Wee said. He estimated that there were about 3,000 children in the village. The Northern Thailand region is usually chillier than the rest of the country, with temperatures in the northern-most province of Chiang Rai plunging to 8°C in January this year. The volunteers who knitted the two car loads of winter gear call themselves Yarns Spree, and have about 500 members. For this project, 150 members, including a 9-year-old boy, helped produce the clothing. “We enjoy knitting so much and made so many items but what do we do with all these clothing that aren’t suitable for our tropical climate?” Yarn Spree founder Amanda Seet said. Project Lives is an annual donation drive where winter clothing, medical aid and other supplies are collected in Singapore to be distributed to “remote and underserved” communities in Petchabun, where temperatures can drop to as low as 2°C. Last year, about 100 Singaporean youths and residents also helped ship a 40-foot container of winter supplies to the province.